"One can only expect Modi ji's to give speeches. Work is not his cup of tea. 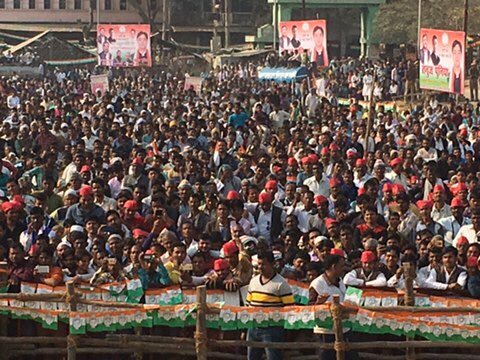 Work will be done by Akhilesh Yadav," said Gandhi while addressing an election rally at Barabanki. 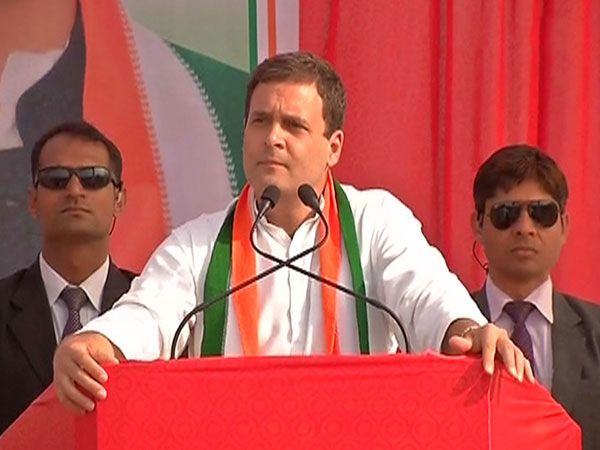 Barabanki, Uttar Pradesh: Launching a scathing attack at Prime Minister Narendra Modi, Congress vice-president Rahul Gandhi on Wednesday said work is not the former's cup of tea. "One can only expect Modi ji's to give speeches. Work is not his cup of tea. Work will be done by Akhilesh Yadav," said Gandhi while addressing an election rally here. Continuing his tirade against the Bharatiya Janata Party (BJP) and Rashtriya Swayamsevak Sangh (RSS), Gandhi said the only work of the two parties has always been to spread hatred. "Wherever the BJP goes, it spreads hatred. Makes one person fights with the other," he said. "As much hatred you will spread, we will spread that much love. Howsoever you try to break, we will encourage that much brotherhood," he added. Promising a better Uttar Pradesh, Gandhi said their government will work for the youth. "We want to change Uttar Pradesh. We have not come here to give a hollow promise of Rs. 15 lakh," he said. "Two youth have met (Rahul Gandhi and Akhilesh Yadav). Therefore, we will work for the youth," he added. While addressing a Congress rally in Uttar Pradesh's Bijnor yesterday, Gandhi took a dig at the demonitisation drive implemented by Prime Minister Modi in November last year. "Friends look inside your wallets, the Rs. 500 and Rs. 1000 notes you see, your rightfully earned money. I have an idea, I am going to turn your money into mere paper," said Rahul Gandhi.